Home / News / News :::: Congress Is Loyal to Israel. Why Does Only Ilhan Omar Say So? News :::: Congress Is Loyal to Israel. 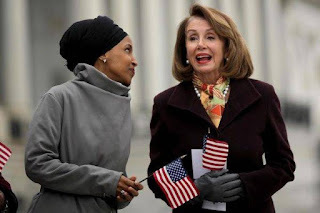 Why Does Only Ilhan Omar Say So? But Omar has defended herself without abandoning her core arguments and she has further established her bona fides as a credible critic of what passes for U.S. foreign policy by virtue of an astonishing attack on former President Barack Obama, whom she criticized obliquely in an interview Friday , saying “We can’t be only upset with Trump. His policies are bad, but many of the people who came before him also had really bad policies. They just were more polished than he was. That’s not what we should be looking for anymore. We don’t want anybody to get away with murder because they are polished. We want to recognize the actual policies that are behind the pretty face and the smile.” Presumably Omar was referring to Obama’s death by drone program and his destruction of Libya, among his other crimes. Everything she said about the smooth talking but feckless Obama is true and could be cast in even worse terms, but to hear the truth from out of the mouth of a liberal Democrat is something like a revelation that all progressives are not ideologically fossilized and fundamentally brain dead. One wonders what she thinks of the Clintons?